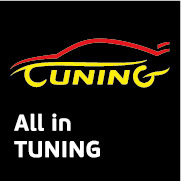 During August 9 – 11, the 2014 All In TUNING will be held in Beijing. Numerous domestic and oversea modification staffs and international modification brands will join the fair to spread Auto Tuning culture. Splendid competitions and performance will add brilliance to the hot August. Automobile modification not only reflects individual consumption concept, but also represents automobile culture. Chinese Auto Tuning industry develops relatively late, but it is quite promising. The 2014 3rd AIT, jointly held by YASN and Messe Dusseldorf China Ltd., will lead colleagues and fans in Auto Tuning industry to experience an international auto modification feast. The 2014 AIT covers an area over 30,000 square meters. More than 300 modification automobiles and 80 modification part brands will participate in the fair. 80% are international famous auto modification spare part brands in the fair, including REMUS, TEIN, EXEDY, KYB, Sucai, Titan Innovation, Hongsheng and Tomato. The fair will further help international Auto Tuning brands establish marketing and service channels in China. Activities such as “Match-making Meeting for 4S Stores” and “Auto Tuning Training” will assist more domestic automobile 4S stores, automobile decoration construction stores and automobile garages in expanding or adding Auto Tuning business, establishing a platform for domestic modification automobile fans to obtain international modification information! In the AIT 2014, VDAT will bring the most cutting-edge modification automobiles and the trendiest Auto Tuning philosophy in Europe. In the AIT 2014 Annual Conference and Summit, leaders from domestic and oversea Auto Tuning field will be invited to bring the latest Auto Tuning information and top technology to modification fans, creating new hotspots in the Auto Tuning field. Meanwhile, industrial feasts such as the “AIT 2014 Annual Conference and Summit”, “11th China Car Tuning Auto Contest” and “New Product Release Conference” will announce the development trend and top technology of modification industry. The 3rd Tuning Car Cultural Corridor, Exciting Trial Driving, New Bee Lady motorcade performance, 0-400 Meters Straight Line Acceleration Competition will take all the people to enjoy speed and passion! Let’s enjoy the carnival of the Chinese Auto Tuning field together with the AIT 2014 in August!